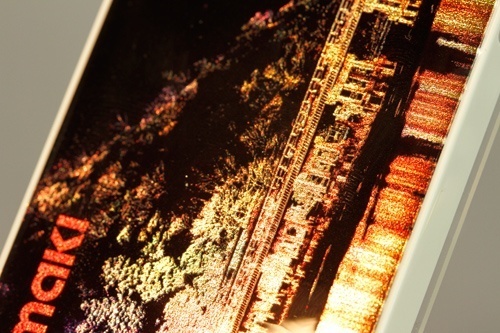 Two different image data are needed for the digital foiling. Click here to see detailed instructions on how to create duotone print data. * On this tutorial, photo data is used. Therefore, Photoshop is used for editing the data. If only vector data such as color logo is used, Illustrator is used for data creation or editing. When creating the data by Illustrator, assign the black to areas to be applied glitters or foils. Print image file is rasterized by "RasterLink"
A raster image processor (RIP) converts the image data to an appropriate data format for digital inkjet printing. 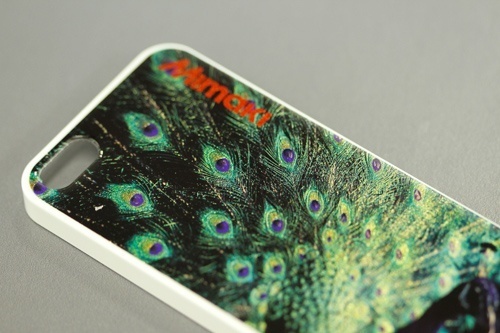 Mimaki RasterLink is software RIP that can rasterize the data without a special hardware. In addition, RasterLink has a variety of tools for optimizing the data for inkjet printing. For more information about RasterLink, please visit here. To avoid mismatch of color and duotone print results owing to a slight difference in a mounting positions of the jig. 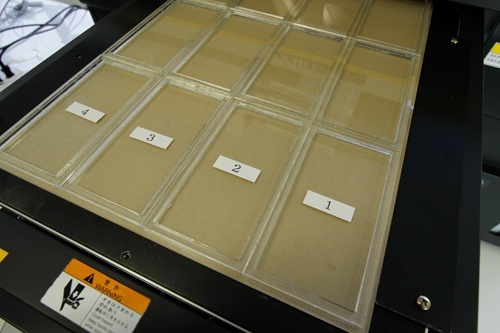 Place the case on the same position of the jig through whole print procedures. To identify, assign the same number to the case as the position. 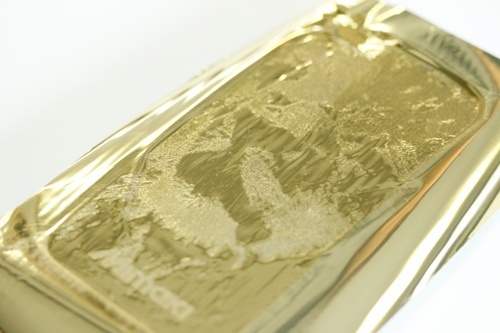 Numbering and positioning are necessary processes for producing high-quality products. 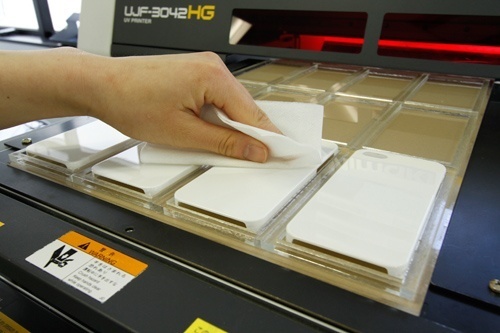 Before printing, wipe the surface with a achol swab or cloth to remove fingerprints or dust. Start print with UJF-3042HG. 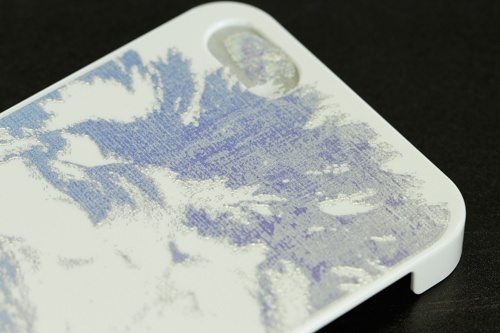 Clear primer printing is barely visible on the white surface. As shown in the picture below, image is clearly printed. 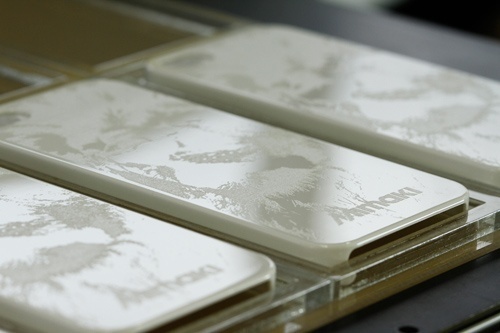 The foil is applied on the case and adhered on uncured primer layer. The foil has to be applied firmly on the case. Therefore, place a flat base under the case to fill a gap between the case and the working table. The shape of the base should be almost same as the case. 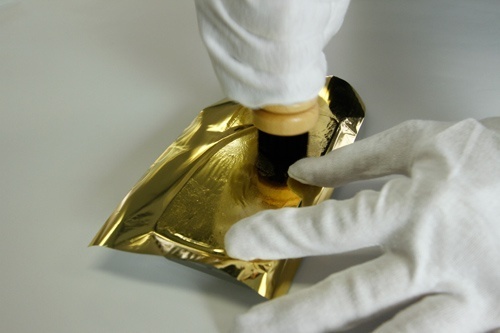 Wear gloves during foil stamping. 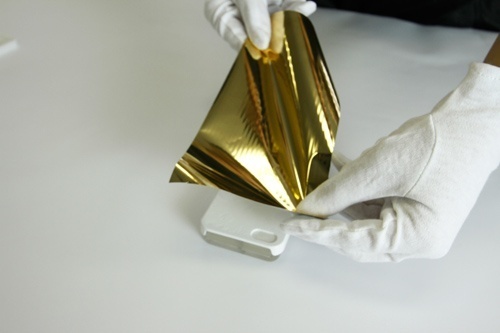 Apply the foil* on the case and rub the foil with a brush while holding the case with fingers. * The foil size should be a bit larger than the case. After brushing, the foil is adhered to the semi-cured primer as shown in the picture (lower left). 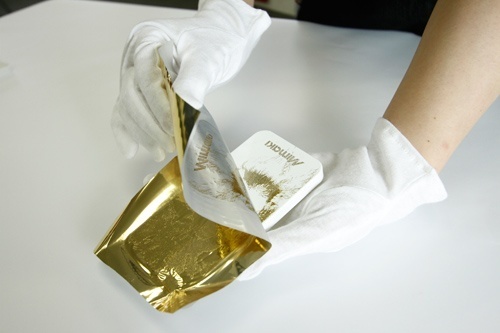 Gold, silver and holographic foils are applied for this decoration technique. 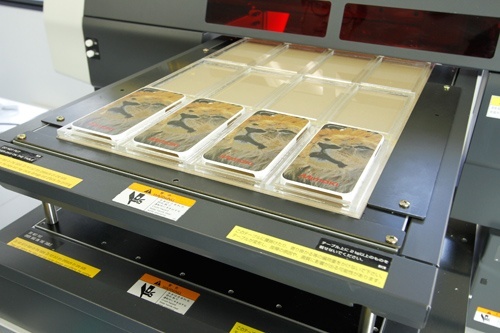 After the foil application, place the case on the print table of UJF-3042HG and print over the foil. 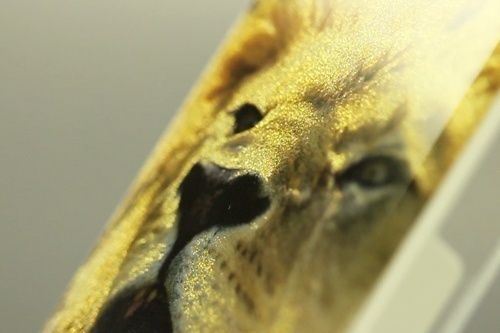 Metallic color can be represented by printing color image on the foil. Printed colors are represented differently on each foil type. Please try this technique to see metallic color variation. Print a clear ink for final finish. Print data is the same as used for primer printing. 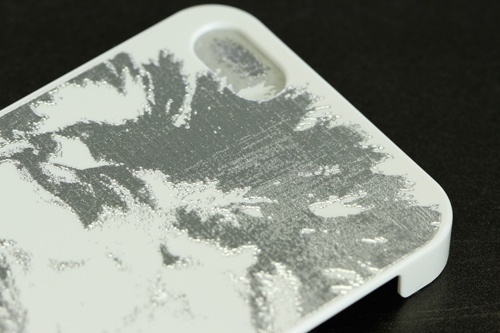 Clear ink adds protective coating, increases texture and enhances three-dimensional effect. The finished product surface is very brilliant! Various finishes and appearances are obtained by using this technique. Please try and see results. Doming is one of finish technique by utilizing a surface tension of special liquid resin. 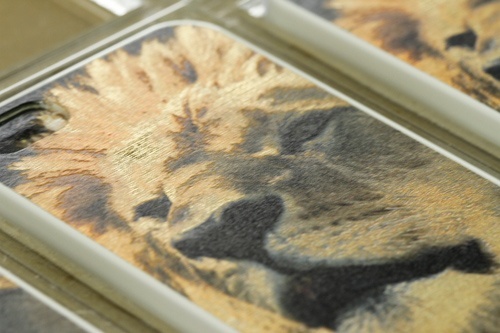 Glossy finish and three dimensional effect are obtained when doming resin is used instead of the clear ink. The appearance of the finished product may vary depending on conditions and environment such as room temperature. Please test before starting production. Content in this website is subject to change without notice.